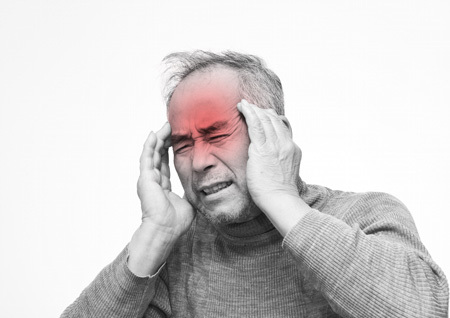 What are Causes of Headaches and Migraines? Causative factors for headaches and migraines often can have overlapping symptoms, but they usually will have different aggravating factors. Headaches often are the result of tight and knotted areas or muscular tension creating a referral pattern. Transitional segments of the spine are common areas for trigger points to reside (i.e. the base of the skull and junction between the neck, shoulders and mid back). What are Symptoms of Headaches and Migraines? Research estimates that 90% of Americans suffer from headaches and/or migraines in any given year. Symptoms of headaches can vary drastically depending on the causative factors. Migraines, however, will often present with similar symptoms during each episode. To help you distinguish a migraine from a headache, a simple mnemonic was created: “P.O.U.N.D.” Pulsating, One-day Duration, Unilateral (one side of the head), Nausea/vomiting, Disabling intensity. At ICT Muscle & Joint Clinic, we focus on treating the symptoms and root cause of your pain. The body is a dynamic, mobile structure and must be assessed and treated as such to create successful long-term outcomes. We employ the best scientific, evidence-based, treatment procedures using a combination of chiropractic manipulation, soft tissue therapy, and rehabilitative exercises. Surrounding all joints, there must be a balance between tension and compression of the ligaments, muscles, tendons, and fascia. When pain is present, it is due to an imbalance of these structures requiring mobilization and release of tight structures, in addition to strengthening weak or inhibited structures of the painful joint(s) as well as the joint(s) above and the joint(s) below. Headaches and migraines are often the consequence of improper, neuromuscular stabilization strategies. Our doctors focus on a comprehensive approach geared toward lasting results.